-Exclusive benchmarks, metrics and industry data from the Marijuana Business Factbook 2013, including biggest startup costs, average revenue, time to profitability and business outlook for 2013. – Advice for investors who want to pump money into publicly traded MMJ companies, dispensaries, cannabis grows, edibles providers, ancillary businesses and nonprofits. – Financing strategies for medical marijuana businesses, including boostrapping, loans, angel and venture capital investments, etc. – Legislative updates about the emerging MMJ program in Connecticut and efforts to legalize medical cannabis in New York. – Key mistakes upstart cannabis businesses and investors make, and how to avoid them. – Tips on what it will take to start and run a successful medical marijuana business in Connecticut. Speakers include Chris Walsh, editor of Medical Marijuana Business Daily; Jessica Billingsley of MJ Freeway; Tripp Keber of Dixie Elixirs/Medical Marijuana Inc.; and Erik Williams of the Connecticut Medical Cannabis Business Alliance, Gaia Plant-Based Medicine and Connecticut NORML. Each speaker will host a Q&A session, and there will also be time for networking before and after the event. The event is aimed at investors and entrepreneurs in New York, Connecticut and New Jersey, an area of the country where cannabis business and investment activity is burgeoning. This marks the first of several planned regional seminars by MMJ Business Daily, which hosts the annual National Marijuana Business Conference and publishes the Marijuana Business Factbook (due out in March). Tickets cost $149 in advance or $199 at the door, and seating is limited. You can find out more information or buy tickets here. Where can I purchase a copy of the MMJ Fact Book? You’ll be able to purchase it through our site in early March or at events we host. Thanks. Do you have locations and dates for a similar conference elsewhere this year ? We will be hosting the National Marijuana Business Conference in Seattle in November. More details to come. 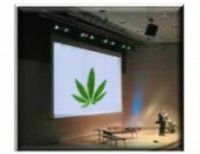 For now, you can check http://www.mmjbusinessdaily.com/conference. We’ll also be offering more regional events this summer. get on board investors MJ is here to stay and the growth is enormous for those getting in now. WOW $149 a ticket!? I was gonna come down from Albany for this but $149 a ticket is a little much for me. I don’t know why this “info session” should cost SO much!? Sorry, George, this was from earlier this year. We are holding seminars in Boston, Chicago, San Fran and Vegas in 2014.